So you’ve decided to install some uPVC window frames. Congratulations! These durable window frames are an excellent choice. They are easy to maintain and provide effective insulation, soundproofing, and more. But now that you’ve chosen uPVC, you’ve got one more thing to consider – choosing the right colours! With a variety to choose from, finding the right fit for your home can be tough. Today, we’re going to take some of the difficulty away with a handy guide. No matter the décor and paint scheme you have, we’re sure to have the perfect uPVC windows and doors in Sydney for you. uPVC can come painted and finished to provide a more traditional looking window frame. This is ideal for those who prefer a certain rustic charm to their home, or for those who are seeking to establish a sense of indoor to outdoor flow. A light or natural timber type colouring sits well against a neutral interior palette – perfect for white and cream walls. For those looking for contrast, try a darker finish that’s placed against a white wall. If you have light coloured furniture, some darker timber coloured uPVC frames will really pop out. Dark coloured frames are another excellent option. You could choose an ash black, hazelnut or dark oak colour for your uPVC windows. 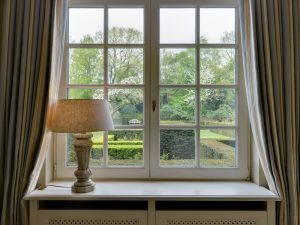 Dark window frames work exceptionally well for those who prefer dark timber furniture and doors. They will also contrast beautifully with light leather couches and armchairs. Dark frames also sit elegantly when placed in a home that has natural or medium-stained timber floorboards. Get cream coloured uPVC windows for a flexible property design. Cream window frames blend in well with light and neutral colour palettes. This means that they will sit softly against cream, white and light walls. For a touch of fire, complement your cream window frames with a light orange or vermilion splash of décor. Think throw pillows, rugs and blankets. This is the perfect option for those sleek, modern kitchen designs. A silver window frame will add a touch of polished chrome to your kitchen. Imagine the sun pouring through your window. Now imagine it shining off your sparkling clean stainless steel countertop. What an image! Silver frames are also a perfect complement for steel stoves, fridges and cabinets. Plain white may seem understated, but it can be a powerful statement. For a bold impact, choose white uPVC window frames against a cream or white wall. Keep your furniture neutral, but throw in some touches of black. Black and white is an elegant colour pattern. A black rug, picture frame or even curtains will work well with white window frames. Feeling inspired? 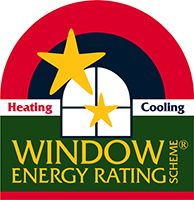 Check out our range of uPVC windows. If you have any questions about our stylish noise reduction windows in Sydney, please don’t hesitate to get in touch with Mint Window & Door Solutions. We’d love to hear from you!